“The DAO Cycle” is a new, sequential, cyclic stack for a full deck of playing cards, lauded by one reviewer as “arguably the best available stacking system for standard playing cards”. It exhibits a highly random appearance, with no recurring sequences or obvious patterns of values, colours, or suits (when magical luminary Eugene Burger was shown a deck arranged in DAO order, told that it was a stack, and challenged to find any ordering, he was unable to do so after close to ten minutes of examination). Nonetheless, it takes but a moment’s effort to determine the card following (or preceding) any other. The method is both logical and completely consistent, with no exceptions or special cases. Hardly more difficult to learn and remember than old (and much less deceptive) classics like “Si Stebbins” and “Eight Kings”, and much more easily acquired and retained (and faster in operation) than the well-known BCS stack, the DAO Stack has already become the favourite of many leading performers, and may well assume the same role for you. “PokerFace” combines high audience involvement, an entertaining and credible plot, and deep mystery all in one: “… what has to be the best mental card effect I’ve ever seen.”, said one reviewer. A deck of cards is shuffled, then cut several times (by multiple participants), in very fair fashion (there is no opportunity for peeking cards, reading marked backs, sleight-of-hand, etc.). 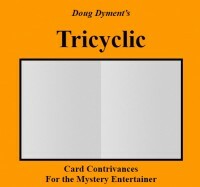 Three cards are chosen by as many audience members, who then attempt to conceal the cards' identities when questioned by the entertainer. 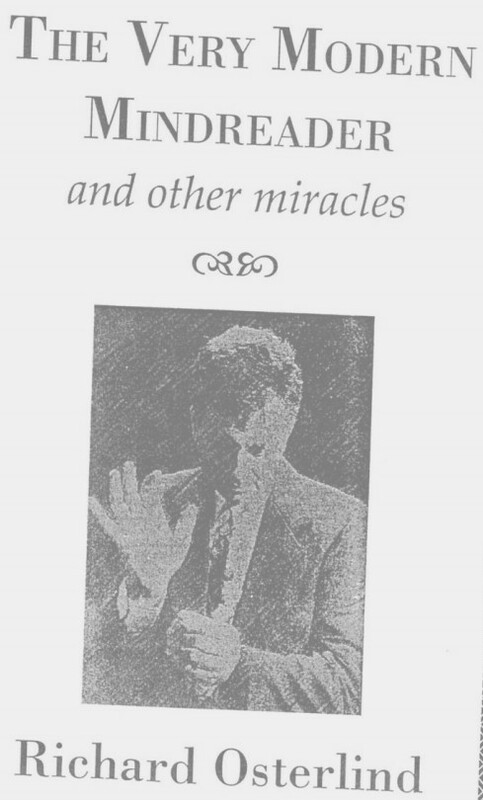 The remainder of the audience is surprisingly successful at determining the chosen cards, under increasingly difficult conditions, and the entertainer brings the effect to an unexpected conclusion by naming the final card under seemingly impossible conditions. A room full of entertanment with no more than a regular, ungaffed pack of cards. The introduction of coloured Zener (ESP) decks (in which each instance of a symbol is of a different colour) has been a boon for psychic entertainers of all stripes, as it means that all 25 (or 30, using six colours) cards in a pack are different, increasing the difficulty of identifying a chosen symbol. 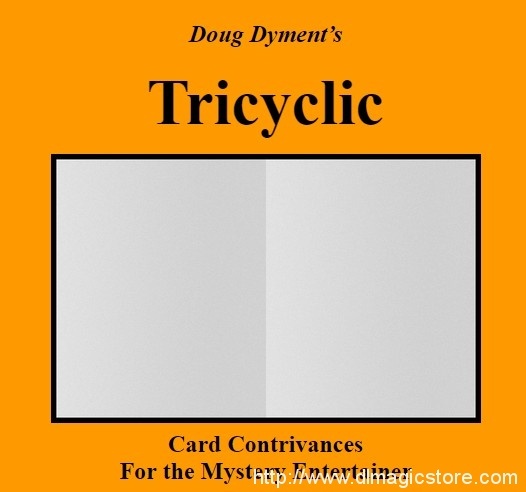 “The ChromESP Cycle” offers, for the first time, a deceptive full-deck stack for such a pack (of either size), one that exhibits no discernible pattern or repetition of sequences, yet allows for the simple determination of successive (or preceding) cards in a cyclic fashion. Drawing on the same fundamental concept as the DAO stack, but incorporating symbols and colours instead of numbers and suits in an innovative fashion, this may well inspire you to add a multi-hued Zener deck to your performing repertoire. “PokerPlay” has been crafted to be the ultimate demonstration of hypnotic influence. Using just ten standard, ungaffed playing cards, two hands of poker are dealt, one for a participant, the other for the entertainer. The participant chooses which hole card goes to each player, and then proceeds to choose each and every additional card for the two hands. No sleights, equivoque, or actual hypnosis are involved: the dealing is completely fair (on several occasions, the participant is allowed to inspect both cards before choosing which to keep or relinquish). And yet, at the conclusion, when the hands are fully and fairly exposed, the entertainer unfailingly wins. The effect can be repeated multiple times, each with different cards and different outcomes (the winning hand can range from a high pair to a royal flush, as desired; the final results are under the control of the entertainer). And everything is easily and quickly “reset”, for the convenience of walk-around performances. “The de Zener Cycle” offers a new stack for a traditional, monochromatic Zener (ESP) card deck (25 cards: five black symbols repeated five times each). 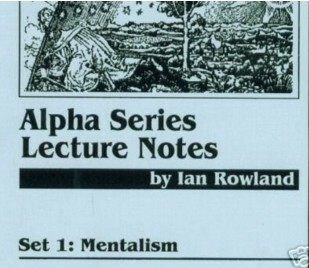 Unlike the previously published “Polliwog Progression” (which can be found in Stimulacra, and uses a mnemonic technique), the de Zener stack is completely algorithmic in nature. But, like its predecessor, it uses all 25 cards of the standard pack, is cyclic (so can be mixed using any method that does no more than repeatedly cut the pack), and exhibits, even with careful inspection, no repeated patterns (or “clumping”) of any kind. 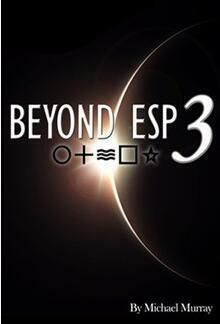 A perfect tool for a variety of classic ESP demonstrations. 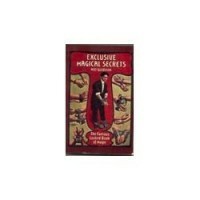 “The Silk Load” introduces a powerful new concept for the Tarot (or other cartomantic) reader, permitting as many as half a dozen or so cards to be secretly added to the top of a legitimately mixed pack, using an innocent, elegant—and surprisingly inexpensive—prop that is perfectly suited to the reading environment. 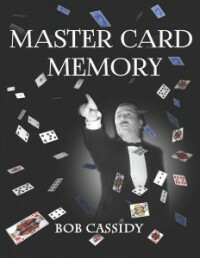 You’ll also be treated to a comprehensive review of “card clocking” technique (along with some previously unpublished improvements to the traditional methods); an optical illusion that is not only startling, but suitable for platform demonstrations; and even more footnotes than you expected, from a Life Member of the Psychic Entertainers Association.